Leftist bedwetters are up in arms over the shock revelation that the actress who plays Queen Elizabeth in Netflix’s The Crown was paid less than the actor who plays her husband. Executive producers for the series made the disclosure when asked during a panel event in Jerusalem on Tuesday if Smith, who played a young Prince Philip in the first and second seasons, was paid more than Foy. In response, the series’ producers, Suzanne Mackie and Andy Harries, acknowledged the 35-year-old male English actor was paid more owing to his Doctor Who fame, but said the practice would be rectified in the future, according to the US entertainment magazine Variety. “Going forward, no one gets paid more than the Queen,” Mackie told the audience. This is silly. Matt Smith, who played Dr. Who, was a far better-known actor when he was recruited for his part than was Claire Foy — so his agent was understandably in a position to command a higher fee for him. 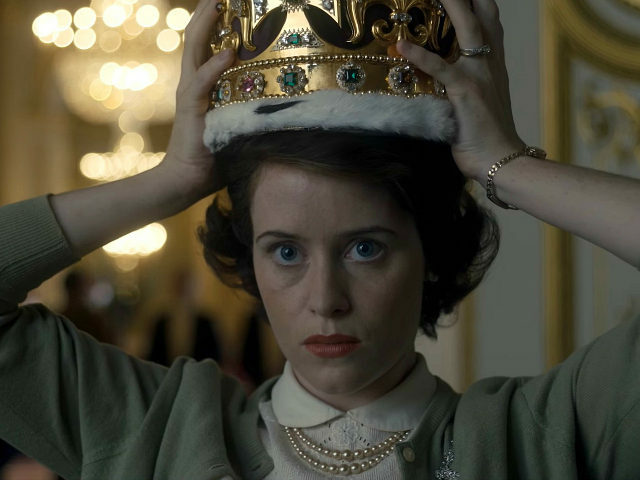 Now that Claire Foy has become much more famous on the back of The Crown‘s success, she’ll be able to earn a lot more money for her future roles: that’s how show business works. Someone needs to explain this to Cathy Newman, the strident feminist and Channel 4 news presenter best known for her humiliating encounter with Jordan Peterson (which, so far, has been viewed more than eight million times on YouTube). Thing is, Cath, love, actors aren’t actually paid on the importance of the characters they play. If they were, no one could ever have made The Ten Commandments or Bruce Almighty. They wouldn’t have been able to afford Charlton Heston’s and Morgan Freeman’s fees.